Take a look back at how Ricardo started his career in this article originally published in 2011. THIS time 14 years ago I received my HSC result. I was devastated. My UAI was 80.10. More than 15 points below the minimum entry requirement to study journalism at Charles Sturt University. Despite the endless television news work experience I had done during high school, community radio and newspaper work, I was turned away from CSU. But for the past 14 years, I’ve been working as a television journalist, and now I read a national television news bulletin. My point, is that there’s many paths to the career of your dreams. I always knew I wanted to be a journalist. In 1993, I worked at a community newspaper in Port Kembla called “The ConneXion” after school. A few years later, I contributed to a current affairs program on community radio station 2VoxFM interviewing local politicians about issues impacting Wollongong. I was also very heavily involved in extra circular school activities like the debating team and Toastmasters. 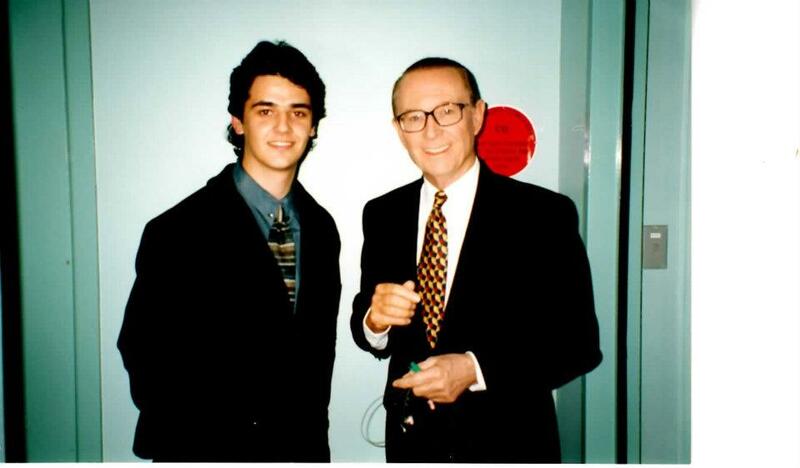 In year 11, I wrote and called every television station in Wollongong and Sydney to let me do work experience. They said no. Three months later, I called and wrote again. They said no, mainly because I wasn’t doing it as part of a school or university program. I tried again, and once again they said no. So I wrote to numerous journalists around the country asking for their advice, journalists like Chris Bath, Paul Barry, Ray Martin, Kim Watkins, Mike Munro, Sandra Sully, Joanna Rouse, Tara Brown even Bert Newton, just to name a few. I just wanted to know how they got into the business. I told them about all the community work I was doing and wanted advice. To their credit, every single one of the journalists I wrote to, replied (To this day I still have their letters, many of them handwritten). Many of them said the Bachelor of Journalism course at CSU Bathurst was the way to go. 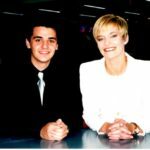 So I booked myself a viewing at the university, and by sheer coincidence, Jessica Rowe, a CSU graduate herself, and Ten newsreader at the time called me on my mobile while I was taking a look at the university. She told me her story, and how she started and offered to help me if I needed it. So, I asked if she could help me get some work experience at Ten Sydney. Four weeks later, I organised my own work cover insurance, and I was sitting at the CoS desk with Allan Croft watching the television news process come to life. I went out on stories with other journalists, held equipment for them and ran errands. Seven and Nine Sydney also allowed me to watch how they put their news together, followed by WIN News Wollongong. Once you do one network, it’s easier to do work at the others. So, even before I finished high school, I had competed copious amounts of work experience in the industry. I was absolutely certain I’d be given a place at CSU. As a back up, I chose the Bachelor of Commerce degree at Wollongong University. 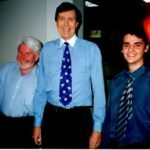 Paul Barry, a financial journalist presenting the Channel 7 program ‘Witness’ at the time, wrote to me, that getting a specialisation like business, wasn’t a bad idea because there was a shortage of good financial journalists in the industry. I always had a keen interest in business so it was a valid backup. All through high school, I was a straight A student and in my final year took challenging subjects like 3 unit English (I’ll never forget that damn ‘Utopias and anti-Utopias module) I was the captain of my school, Edmund Rice College. So I held high hopes for what I’d do after school. You can imagine my extreme disappointment, when my UAI came in at 80.10. From memory, the minimum requirement at CSU was above 96. I called the university executive. I pleaded with them and explained all the experience I had already gained hoping my enthusiasm alone would make up for the lack of marks. But it didn’t work. I didn’t let that deter me, although part of me did think I’d become a boring accountant (I now know not all accountants are boring). In the end, I went to Wollongong University and chose subjects which I believed would add value as a journalist. I majored in Marketing and Economics. But the key here, is that I continued with my unpaid work in the industry. Firstly, I did supplementary journalism courses while I was at uni; a radio intensive workshop at UTS over the summer, a multi-media workshop through SCEGGS Darlinghurst and a television presenting course in Pymble. I should also note, that I had to fund these activities myself. I come from a very hard working, blue collar family. Mum and Dad gave up what they could for our education. Still, I worked as a sales assistant at David Jones Wollongong to fund my extra curricular activities, mostly to pay for these extra courses I wanted to do, and the expensive insurance to cover me to do work experience at the networks. 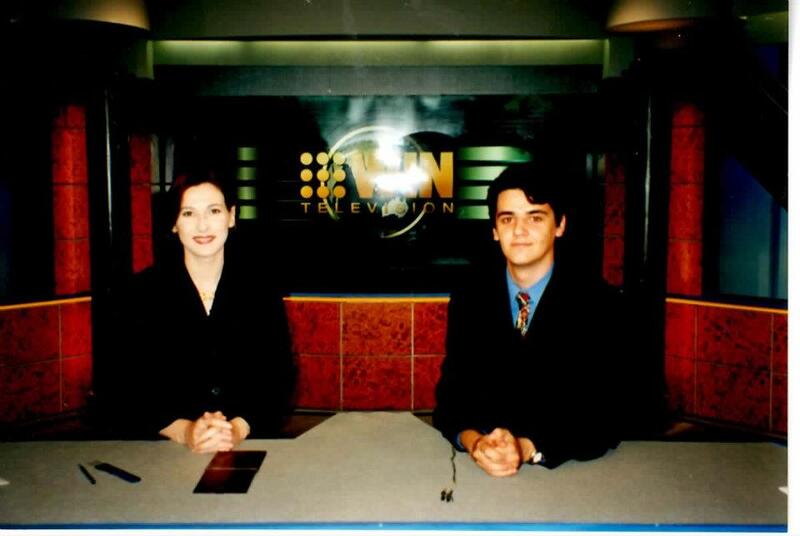 While at uni, I continued to do work experience at WIN News Wollongong, one day a week, for free, for two years. Yep, two years, for free. I started by following journalists, carrying tripods, held up sun reflectors/shades for the other journalists to do their pieces to camera and answered phones. Eventually, Paul Scott and Stella Lauri, the newsroom bosses at WIN News, believed in me, to be able to do my own stories, and I voiced a school rock eisteddfod story that went to air when I was 18. My real break came when a pipeline burst on the Illawarra escarpment. No other journalists were around, so off I went with a cameraman, hard hat in hand, in the rain, shooting my piece to camera in the mud for the story. My Doc Martins were ruined. The WIN team also noted my business studies, so I was often given business related stories like the GST introduction into the Illawarra and most stories relating to BHP Billiton, which at the time owned the Port Kembla Steelworks. Eventually, WIN put me on the casual payroll after two years. It was an unfortunate time for me because rival Prime News had just shut down its newsroom, so many of those journalists came across to WIN, meaning a fulltime position for me wasn’t available. I even did a few days of work experience at WIN Orange to see if something would come out of that. Even so, I felt a sense of accomplishment, so in 1999, I set up a website allowing other high school students to contact me if they wanted advice about study techniques and different ways to enter their career of their dreams. Producers at Channel 7′s ‘Today Tonight’ saw it, and before I knew it, they asked me to help them with a couple of HSC related news stories for their program. I voiced them, did pieces to camera for them, and Stan Grant presented it in 1999. As I was approaching graduation at university, the pressure was mounting to find a full time reporting gig. I sent my showreel of work to all many networks, and received some good and some not so good feedback. 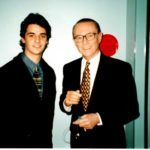 Peter Meakin (Channel 9 news boss at the time) , who now runs Seven’s news department, replied in a letter something along the lines of “Based on the tape that you have sent me, I don’t see that you have a future in television”. Mum still has that letter somewhere in the garage back in Wollongong. Granted, maybe the showreel wasn’t the best in the world, and I was overly ambitious. But it was another knock. But you’ve got to take them in this industry. For the record, SBS turned me down to be a cadet too. Countless knock backs. In fact, a folder full. But just as I was about to graduate, lady luck played her hand. I saw a three line, twenty word advertisement in the Sydney Morning Herald classifieds. It said something along the lines of “Finance Journalist wanted to work for a well know broadcast finance team”. I applied, received a phone call, drove myself up from Wollongong to Chatswood, and had a meeting with the team behind David Koch. 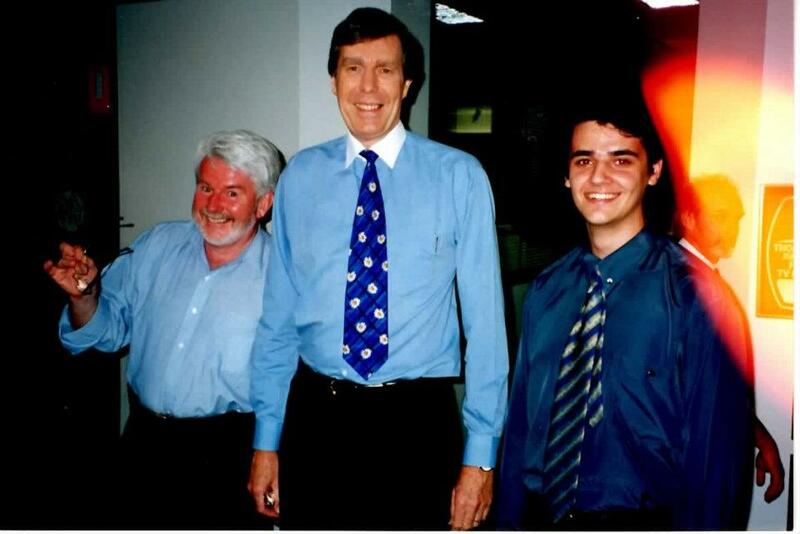 At the time, he provided content for Seven News, Sky News and numerous radio and print outlets. 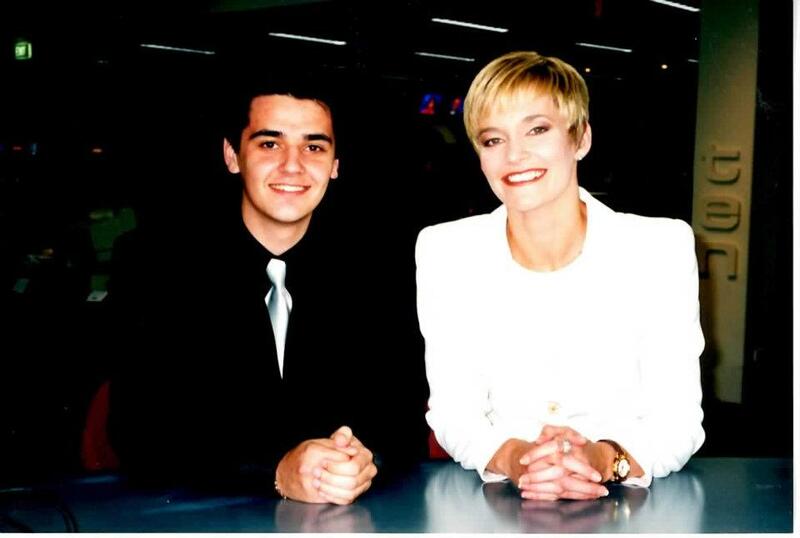 Kylie Merritt, for whom I had so much respect for, ran the news department in Kochie’s business, and offered me my first paid gig in metro television at the age of 21. The gig? I was based at Channel 7 Sydney, well, Epping, sourcing vision for finance stories to be played on Sky News. My role evolved and developed to, producer, video journalist, presenter. 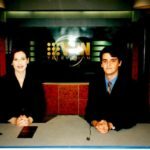 It took a further four years before I was reporting for National Nine News Melbourne, six years before I was presenting national bulletins on Sky News, and nine years before my role on SBS. And the challenges, and sacrifices made during that time were great, I haven’t even gotten to my favourite interviews, exclusives and what journalism is all about, getting the news to the public. You’ve got to get your foot in the door before you can do the good stuff.